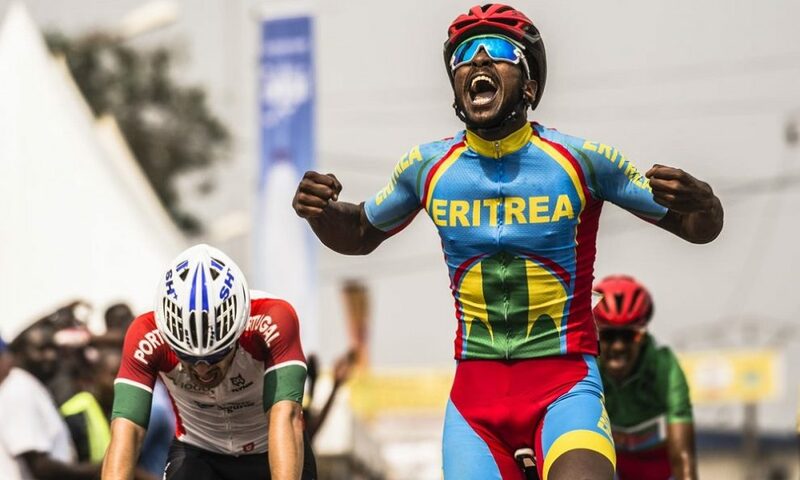 Left behind yesterday's day of rest, the Tour de l'Espoir, which is valid for the Under23 Nations Cup, left again today in Cameroon : in the fourth stage another victory for the Eritrea national team has come. step from celebrating a great triumph. The 111 km Ngoulemakong-Yaoundé was alive in the last kilometers when the group stretched and frayed: 21-year-old Natnael Mebrahtom was the fastest in the sprint and repeated the success of the stage won last year. Second place for the Portuguese Francisco Campos, while third and fourth were placed two other Eritrean riders, Natnael Tesfazion and the leader Yacob Debesay . Behind the first four of the order of arrival were formed of the gaps that led to a novelty on the virtual podium of the race as the Ecuadorian Quinteros rose to third place at 1'33 "climbing over the Habitian Eritrean, now fourth at 1'36 ". In the lead there is always Debesay with 39 "on Mebrahtom: Eritrea boasts even five men (out of the six members) in the first eight positions of the general.